After more than 10 years releasing music under the pseudonym of “El_Txef_A” the enigmatic Basque musician is ready to open a new era with his first solo record as Aitor Etxebarria. 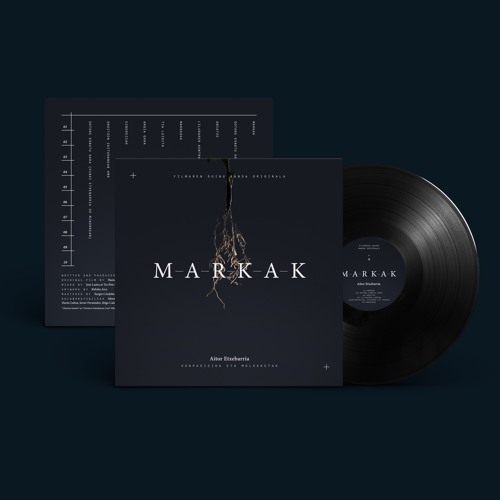 ‘Markak (Soundtrack from the Motion Picture)’ is Aitor’s first original work for Cinema. After the premiere of the documentary at the San Sebastian international film Festival (https://www.sansebastianfestival.com/2016/sections_and_films/etb_screenings/8/in), a limited number of vinyls will be released this April, coinciding with the 80th anniversary of the bombing of Gernika, one of the main themes of the documentary. Composed and recorded in the Basque Country, Aitor took a break from his busy touring schedule to focus solely on the film score. If it's “marks” that we’re talking about, the bombing suffered on 26th April 1937 at Gernika, is a deep and lasting mark of profound symbolic value. A poignant double meaning with the title in Basque ‘Markak’. For the creation a number of internal symbolic norms are essential, necessary to lend meaning to our environment. The creator creates on the basis of the stories he has received, the images, the feelings. Gernika’s past is a field for creation amongst Gernika’s young people. The documentary explores what these young creators “have locked away inside them”, their emotions. The bombing is a wall in the life of people, an interruption. It is a violence that breaks away from peaceful routine, a denial of the freedom to choose that a people and its inhabitants should have.